Reports have stated that The Galapagos Islands have already been changed and trasnformed by global climate changes and human activity. 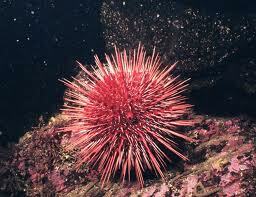 1982’s El Nino, overfishing, coral destroying urchins, have all played a role in altering the island’s marine ecosystems. Global Change Biology maintains that the islands still have not fully recovered from El Nino in 1982 and the drastic climate changes that El Nino brought about. It states that overfishing has played the role in severely weakening the island’s marine ecosystem making it nearly impossible to recover from El Nino. Fisherman removed so many large predatory fish and lobster that urchins were able to take the habitat and destroy the coral and preventing it from being able to be re-establish. As a result, 45 species are not globally threatened.